HE Jilan, Eric (b.1974) was born in Hong Kong and immigrated to Canada with his family in the 80s. Eric received his Bachelor degree with a specialized honour in Fine Arts at York University, Ontario in 1997; and Eric acquired a Certificate in Design at Seneca College, Ontario. Eric returned to Hong Kong in 2000, and obtained his Master degree in Design Management at The Hong Kong Polytechnic University in 2003. 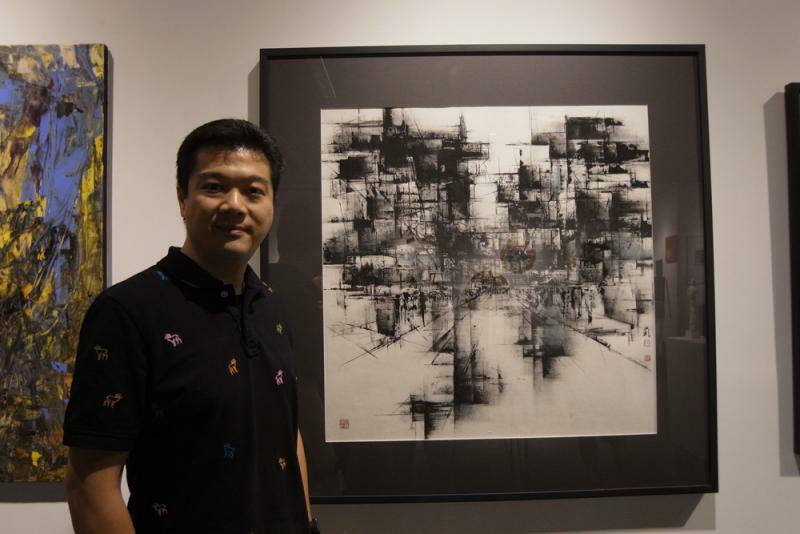 Inspired at an early age by his father, HE Baili, Eric has taken his interest in Chinese painting since youth. With the upbringing under Western and Eastern cultures, his creative works reflect this mixed cultural influence with his favourite medium – Chinese ink. Eric creates his unique style of painting to represent Yin and Yang – the two opposing principles in nature, where he fuses the understandings of the Chinese philosophy together with modern art, Chinese calligraphy and Chinese ink. Eric has exhibited in several art fairs and exhibitions in Canada and Hong Kong. In recent years, his paintings can also be found in a few international fine art auctions in Asia. His paintings were collected by overseas organizations and private collectors.